Astronomy, astrophysics and space research have witnessed an explosive development over the last few decades. The new observational potential offered by space stations and the availability of powerful and highly specialized computers have revealed novel aspects of the fascinating realm of galaxies, quasars, stars and planets. The present completely revised 5th edition of The New Cosmos provides ample evidence of these dramatic developments. In a concise presentation, which assumes only a modest prior knowledge of mathematics and physics, the book gives a coherent introduction to the entire field of astronomy and astrophysics. At the same time it takes into account the art of observation and the fundamental ideas behind their interpretation. 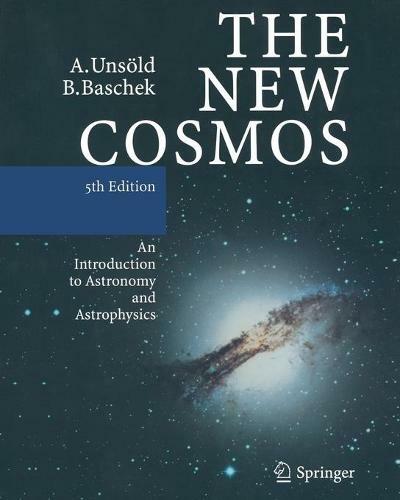 Like its predecessors, this edition of The New Cosmos will provide new insight and enjoyment not only to students and researchers in the fields of astronomy, physics and earth sciences, but also to a wide range of interested amateurs. "... The library copies of the earlier editions are well thumbed, which is a good indication of how often they are referenced. I have no doubt that this new edition will prove as popular."